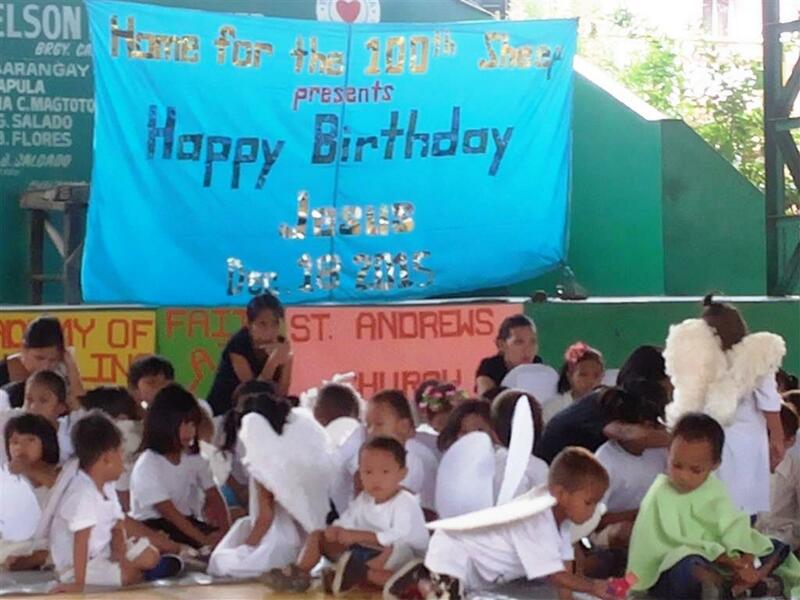 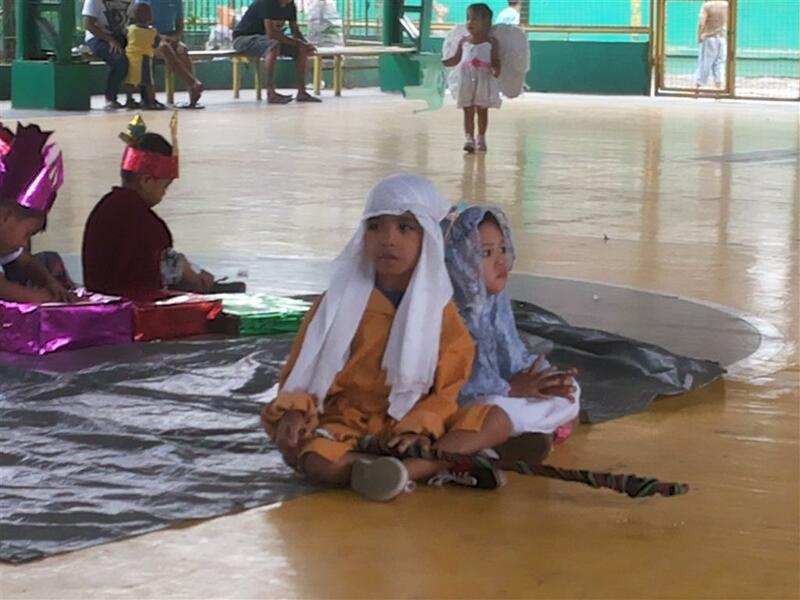 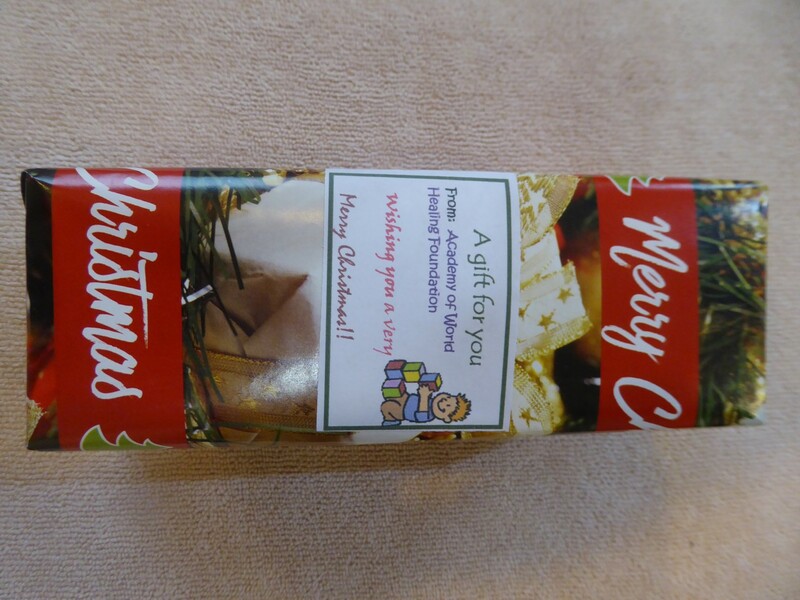 On December 18, 2018 as being yearly done so, Academy of World Healing Foundation (AWH) attended the Christmas play of “Home for the 100th Sheep” which operates and manages several free tuition pre-schools in Dasmarinas, Cavite. 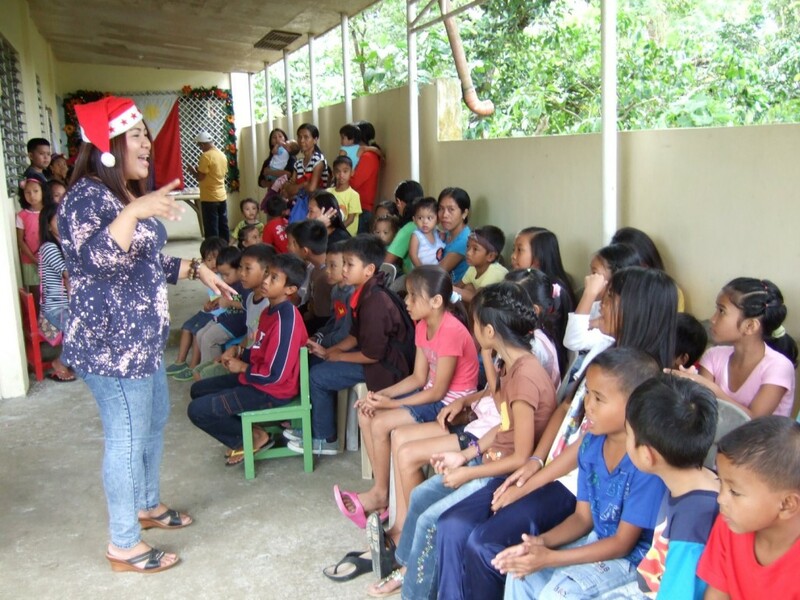 More than 80 day care children participated in their Christmas event. 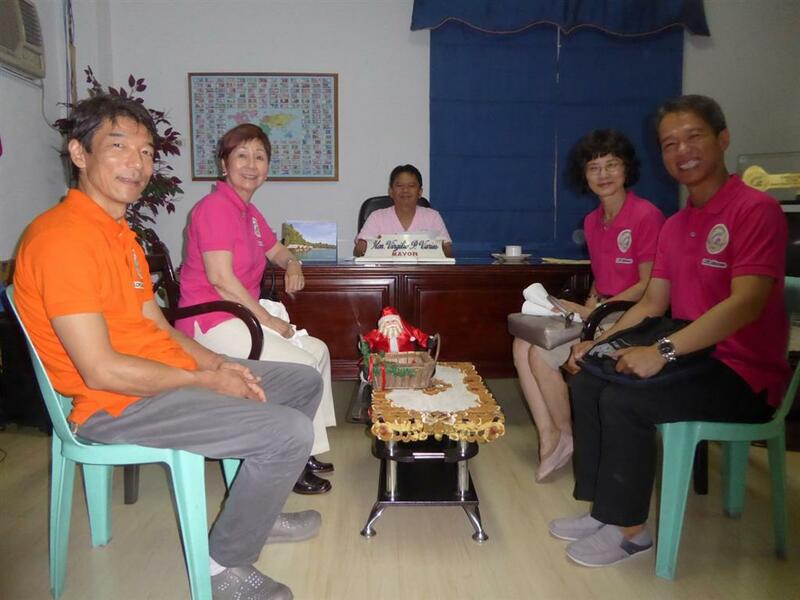 AWH donated P10,000 to Kaloi and Edna who are married together and operate the organization, for the needs of the day care centers such as food materials and school supplies. AWH also brought firewood for the relocated street families from Manila, of which Home for the 100th Sheep also takes care. 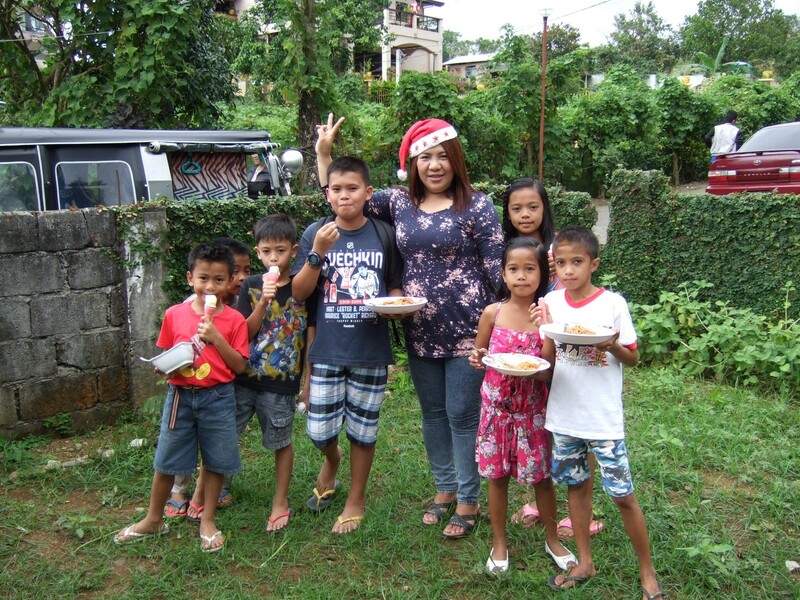 Kaloi and Edna were very appreciative of the annual donation of AWH to their day care facilities and children. 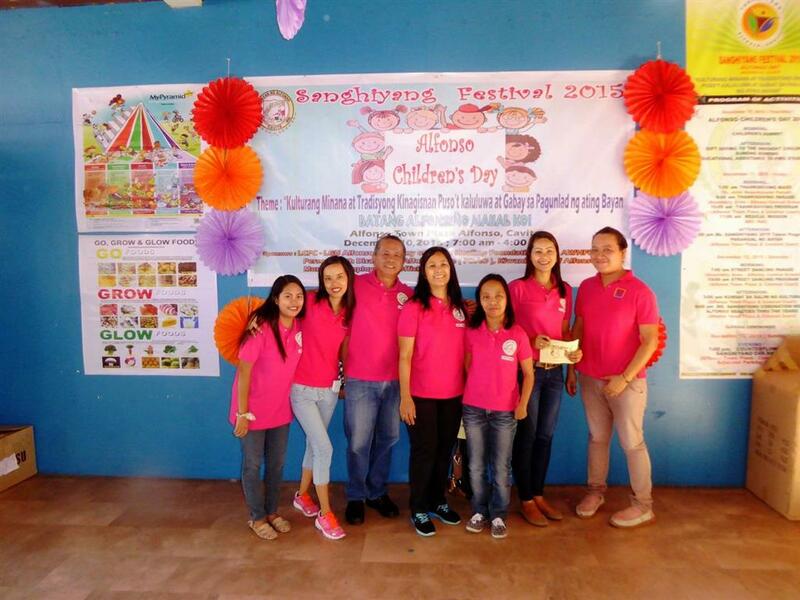 In addition to the P15,000 fourth quarter donation, AWH donated another P15,000 budgeted for this event for additional gift giving to 512 indigent children and an additional 60+ gifted children as determined by DSWD. 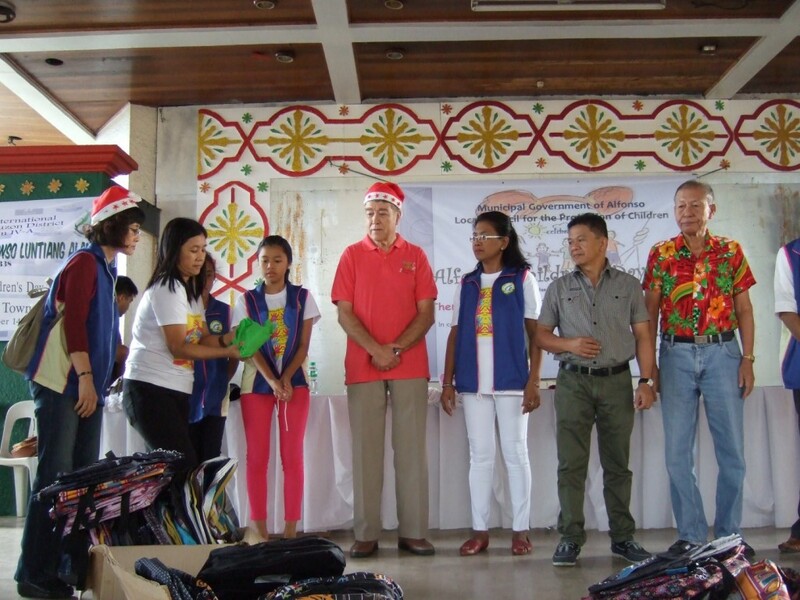 Each child received a backpack from the City and a water bottle from AWH that was individually gift wrapped by DSWD volunteers. 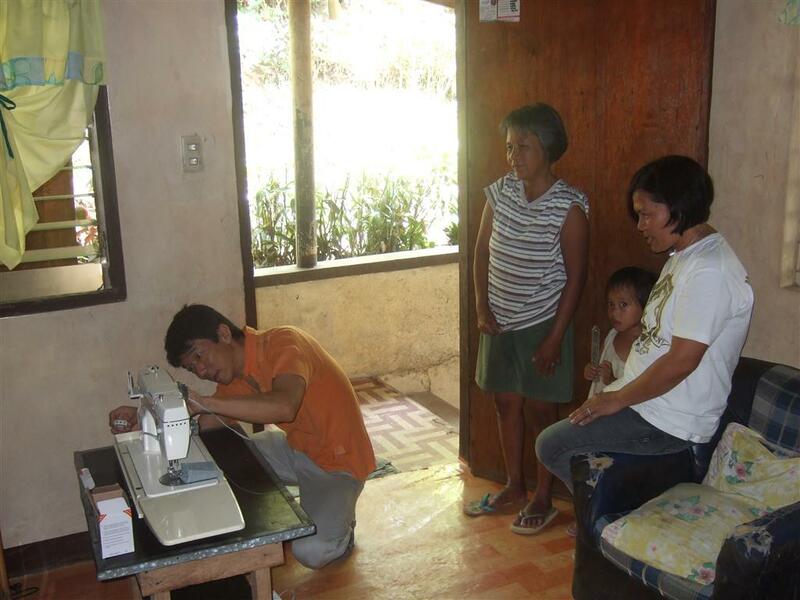 We heard that a sewer in our barangay Sicat, who is a sister in law of our domestic worker, lost her sewing machine and had become out of job for a year. 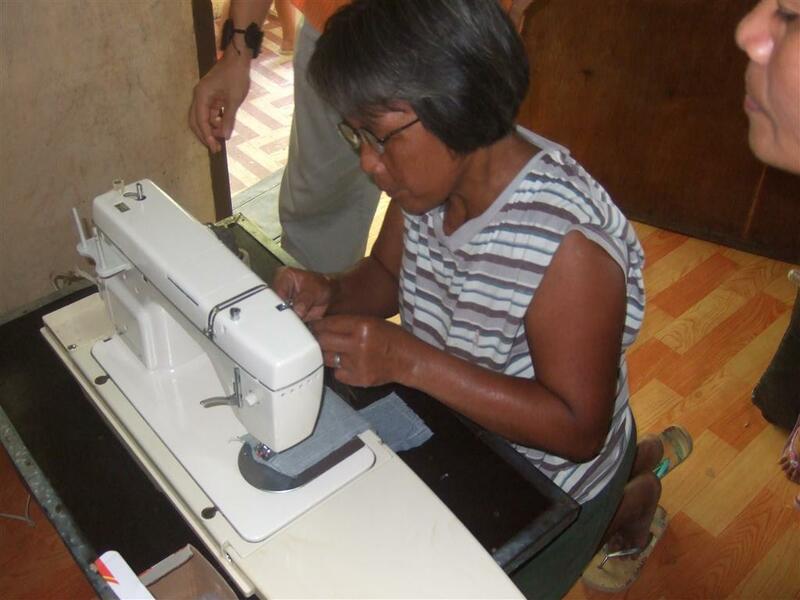 Her sawing machine was rental and the owner took it back from her. 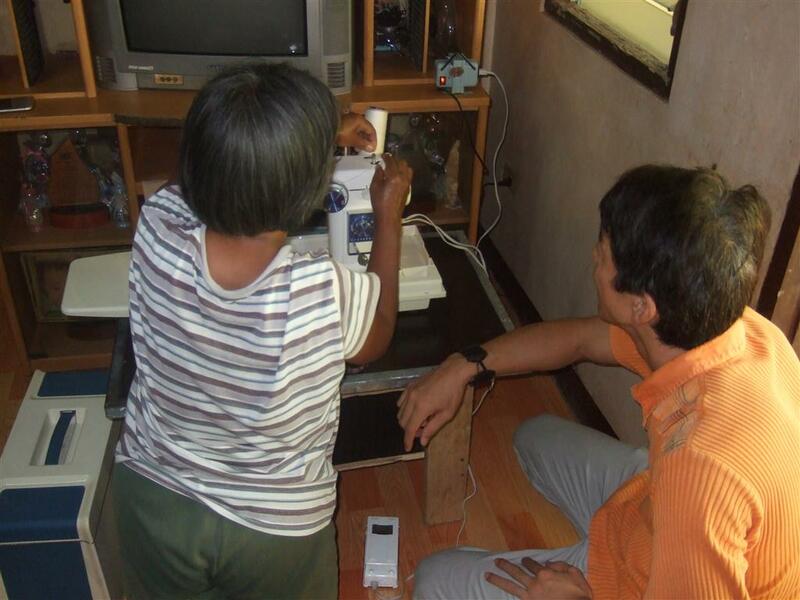 We sought for a good working second hand sawing machine and bought one for her. 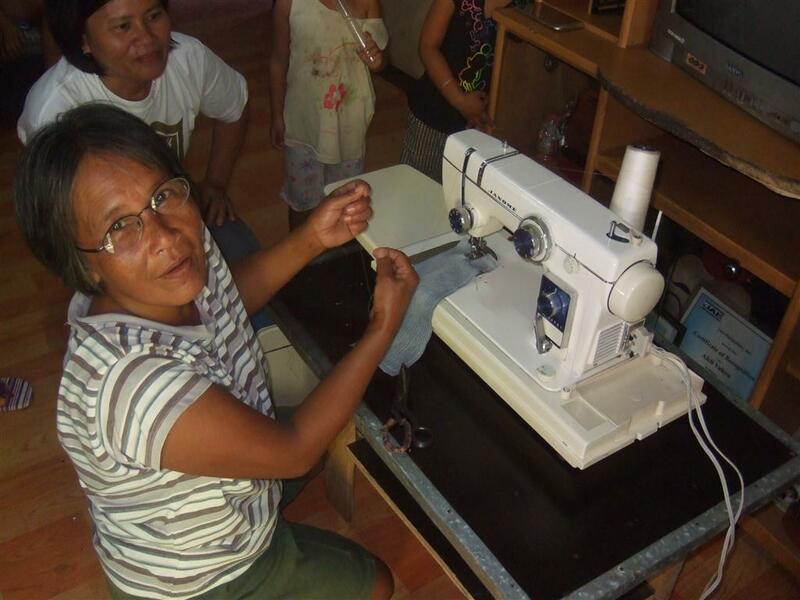 Since it was not informed to her, she was surprised when the sawing machine was given to her. 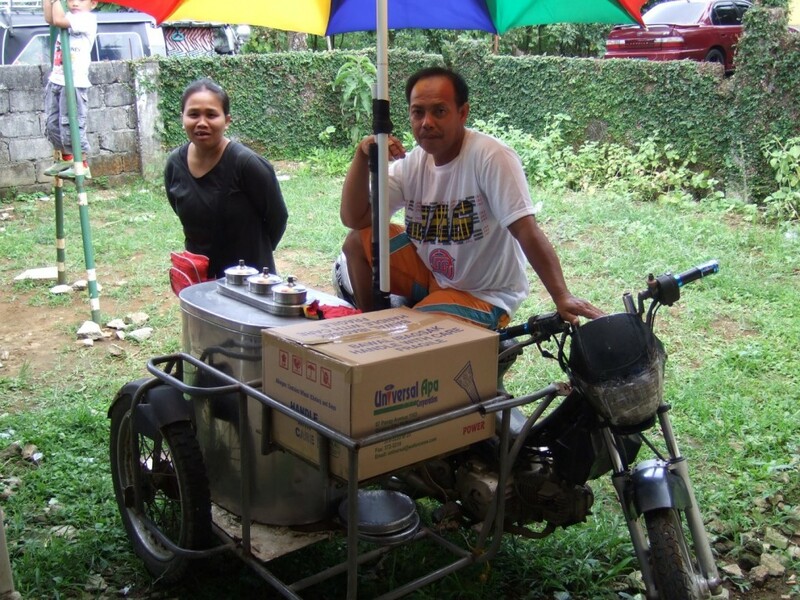 She could not believe that she could have it with no payment attached. 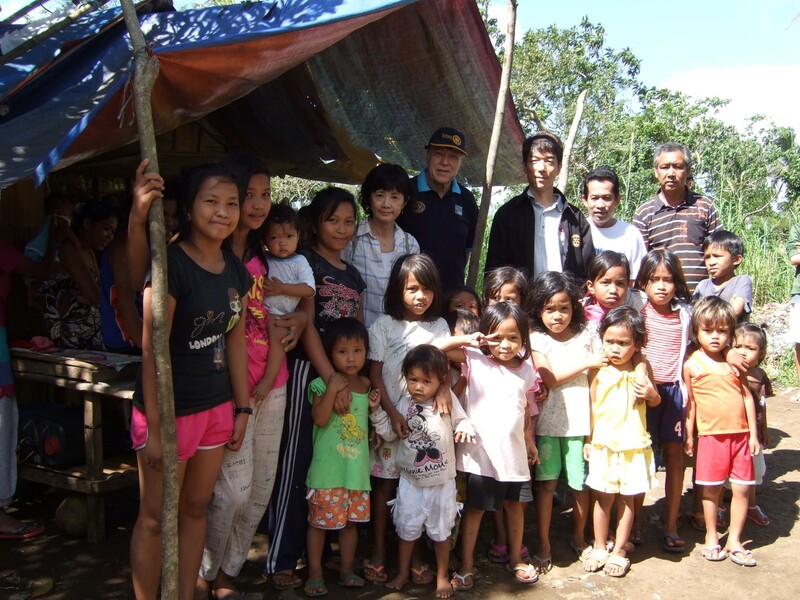 We explained that it is better to give a fishing rod than giving fish. 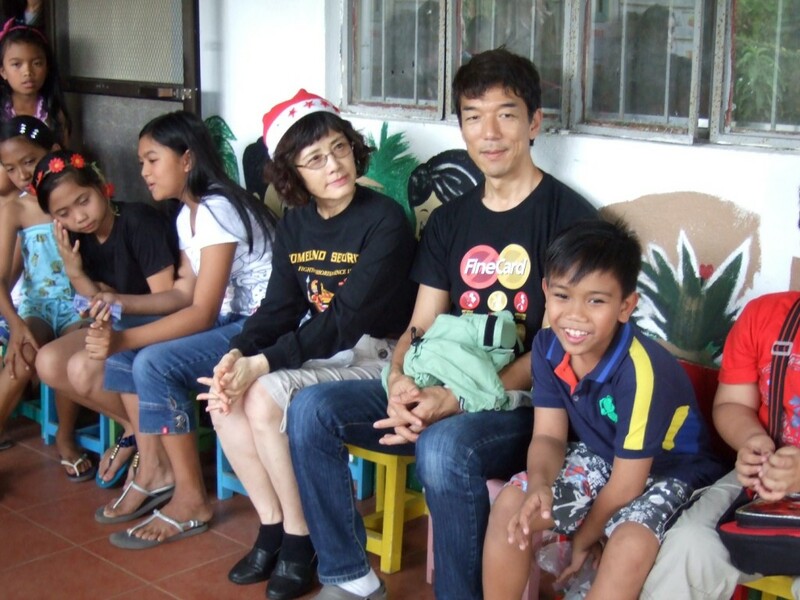 Since the sawing machine is from Japan, a voltage transformer was also included in the donation. 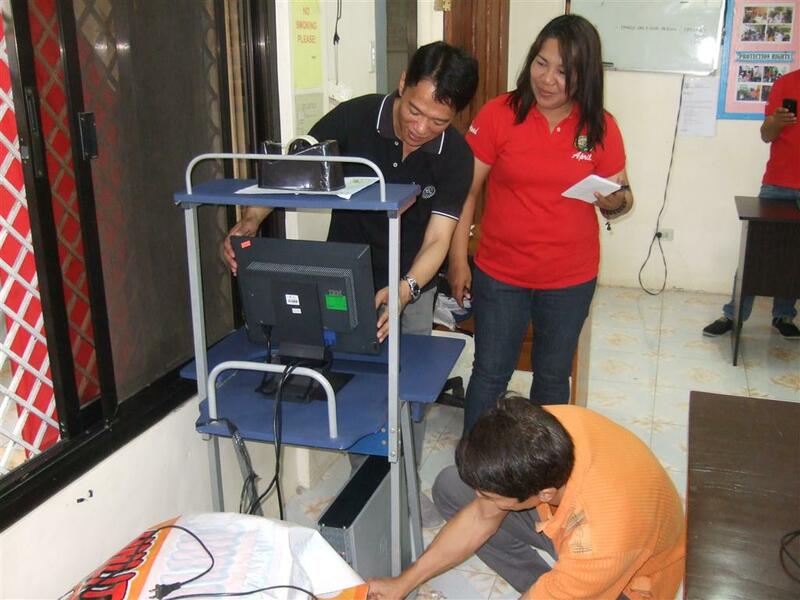 We temporarily set it up in her small table and tested the machine. 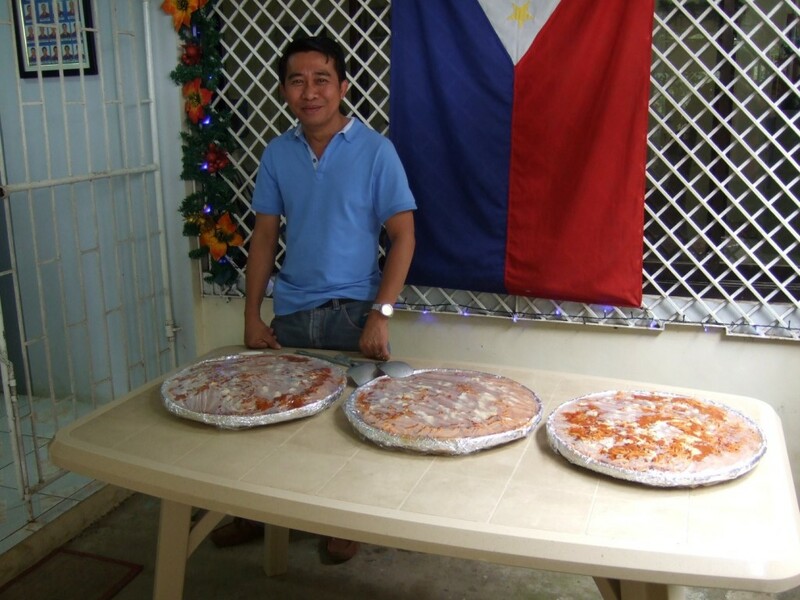 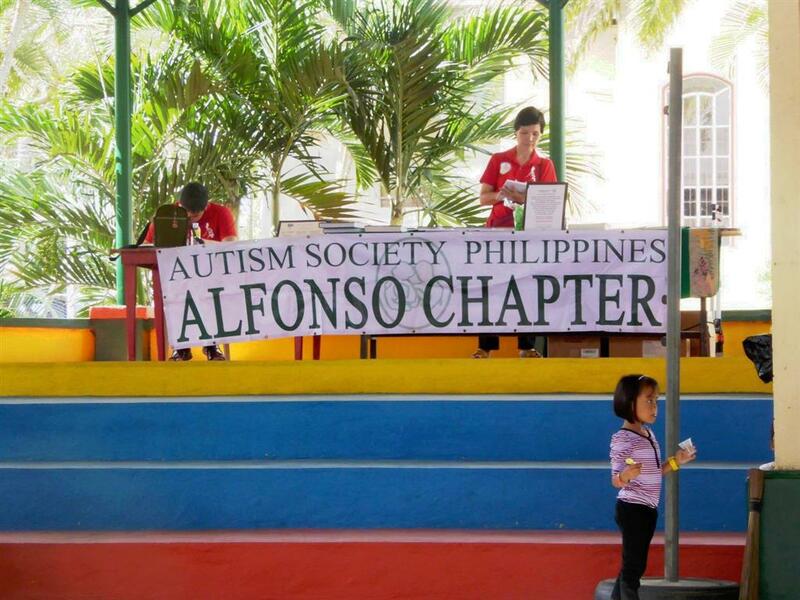 On April 4, 2016, AWH donated desktop computer set that included 15″ LCD Monitor, a keyboard and a mouse to barangay Sicat hall. 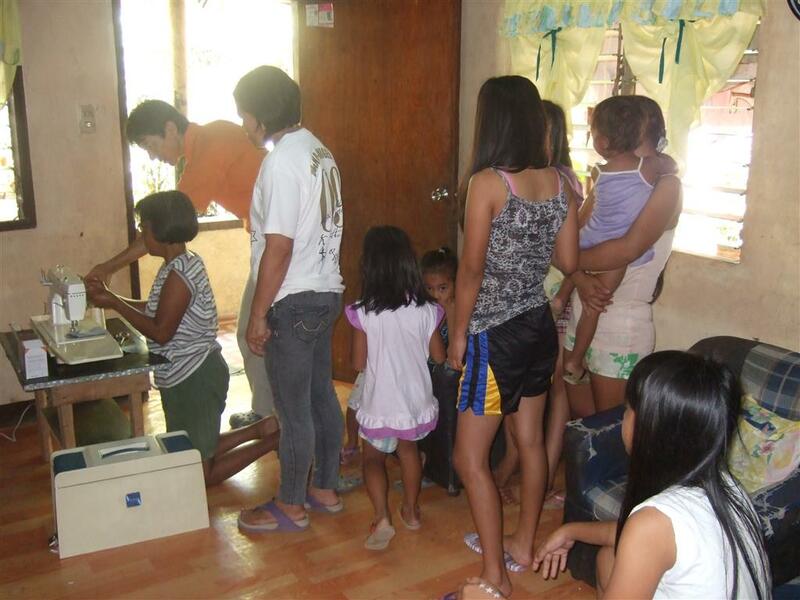 Their old computer had been repetitively repaired but became no longer repairable. 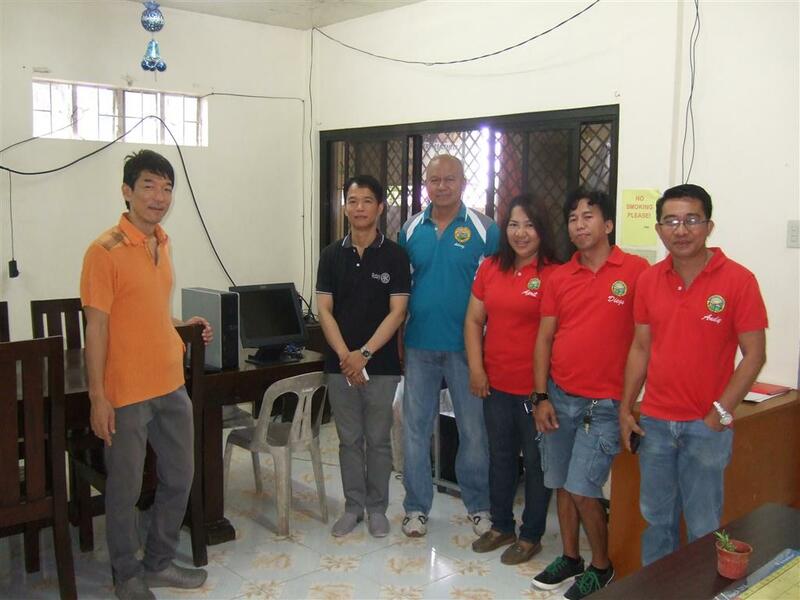 Barangay councilors received the donation at the site and appreciated the gift and free installation by AWH staff. 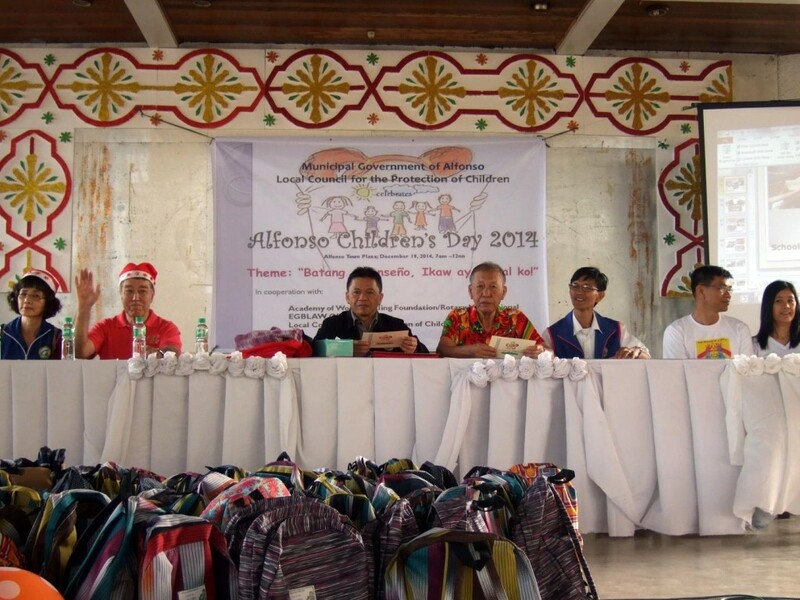 The area is highly humid and AWH advised them to use it frequently so that the moisture is repelled by its operation heat and thus prevent damages. 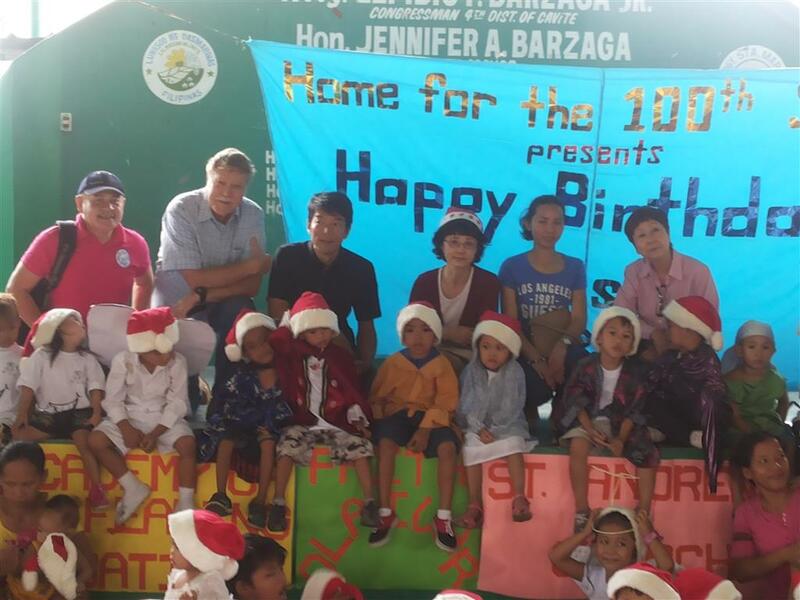 On December 18th, 2015, Home for The 100th Sheep, a DSWD (Department of Social Welfare Development) accredited organization which has helped over 200 resettled former street families from Manila, held a Christmas event for their children in Dasmarinas, Cavite. 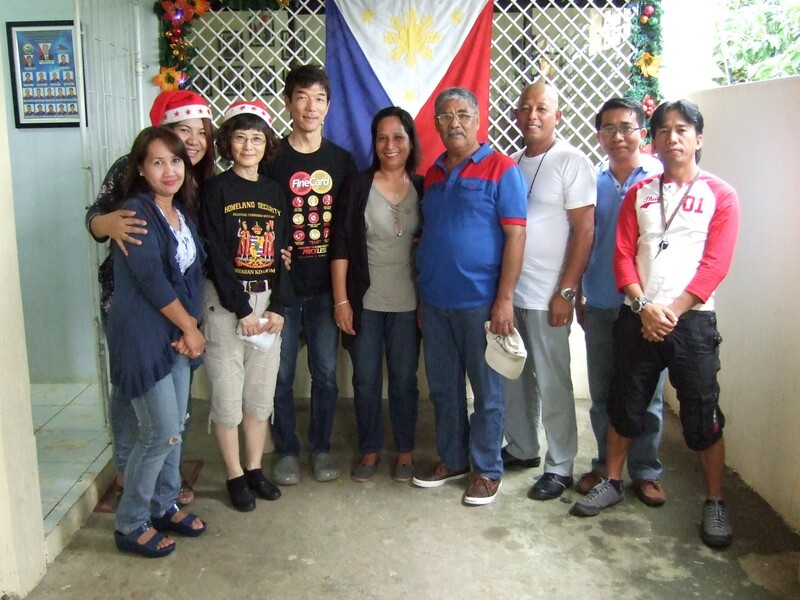 AWH donated sacks of rice, quality used clothes from Japan and biscuits to the organization so they they would be distributed to the resettled families later and participated the event. 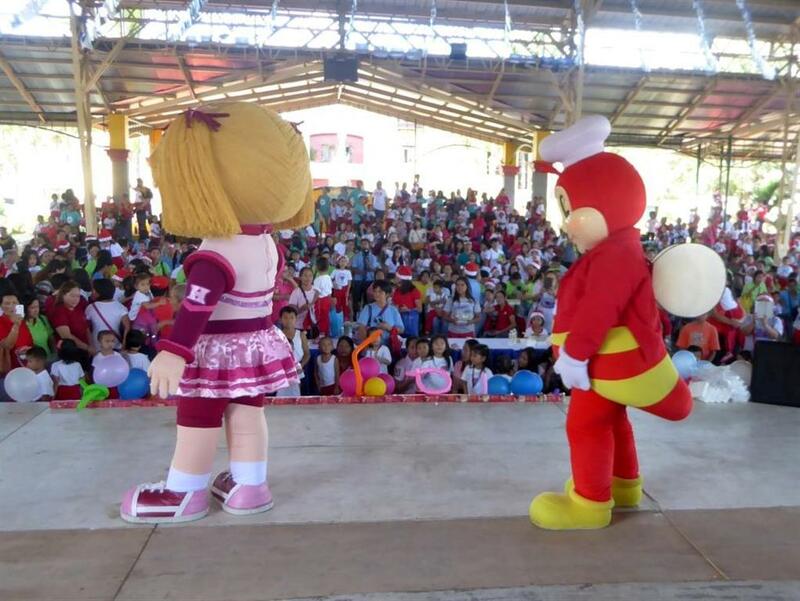 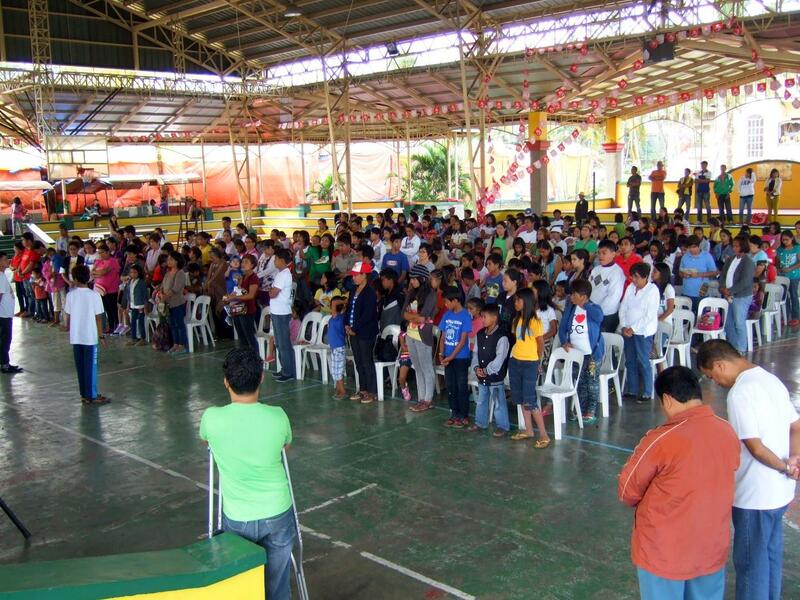 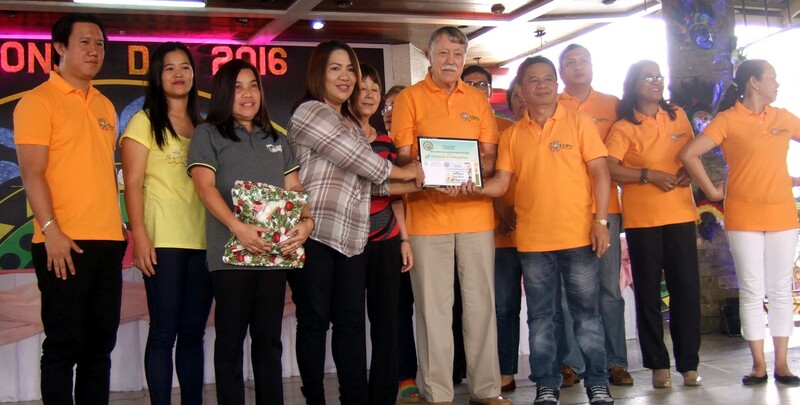 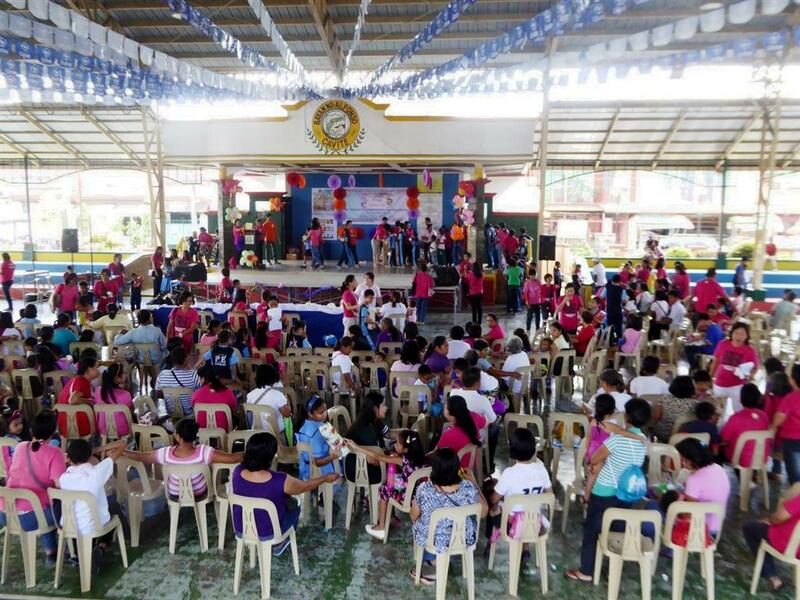 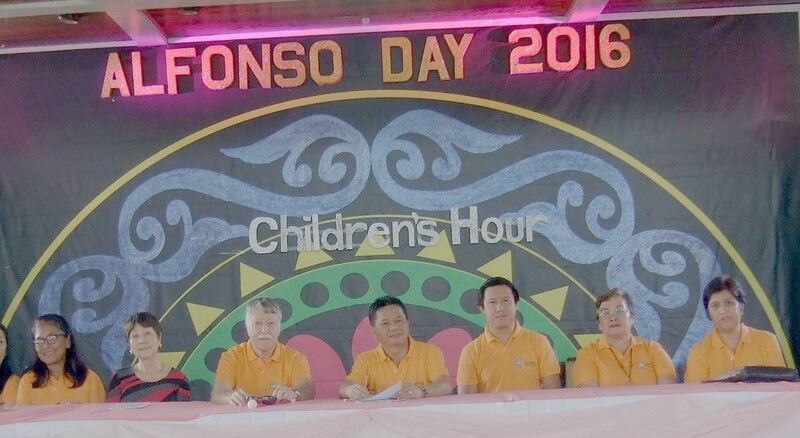 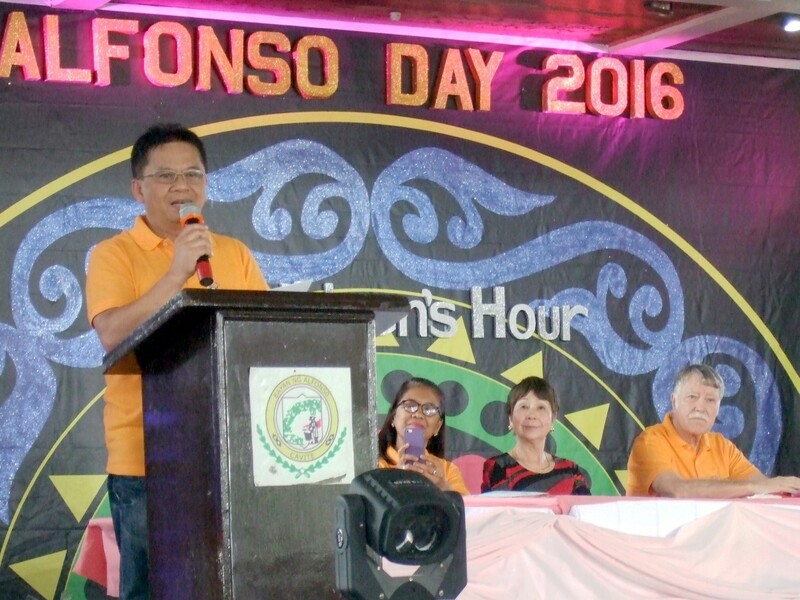 On December 10, 2015 municipal yearly event of Alfonso day was held at the municipal basketball court. 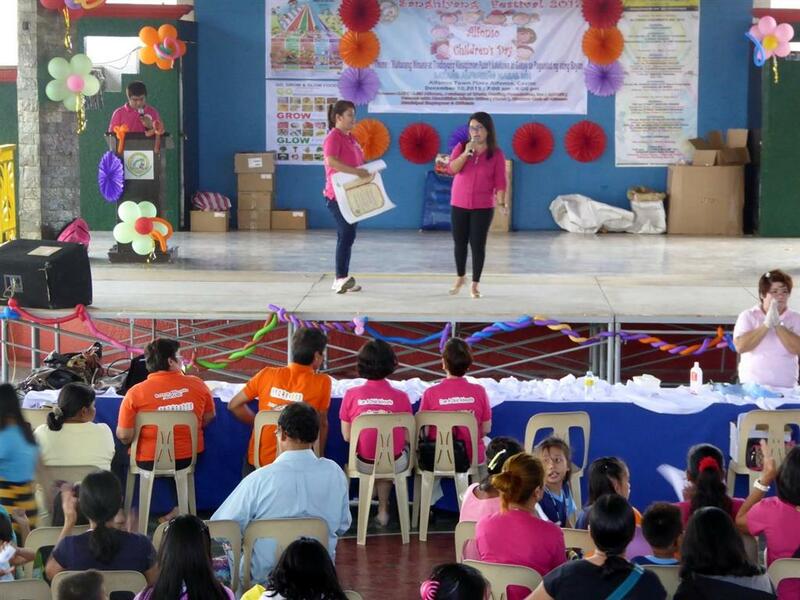 Three parts of programs catered for children, PWD (persons with disabilities) and indigents respectively. 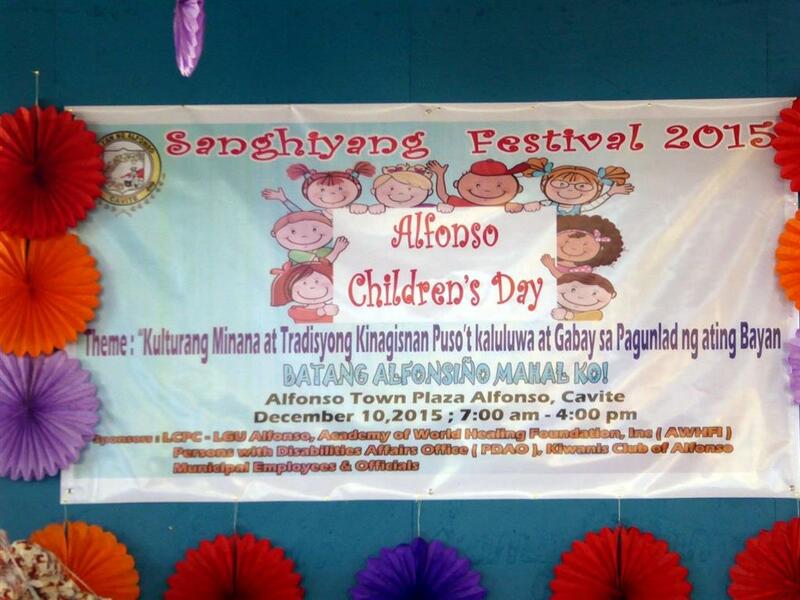 The municipality of Alfonso including the mayor and councilors sponsored the event. 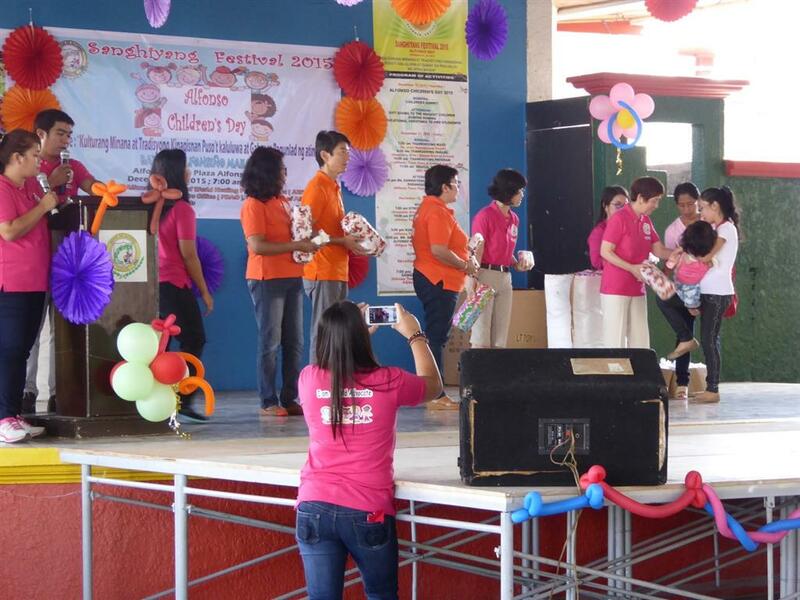 DSWD prepared gifts and coordinated participants. 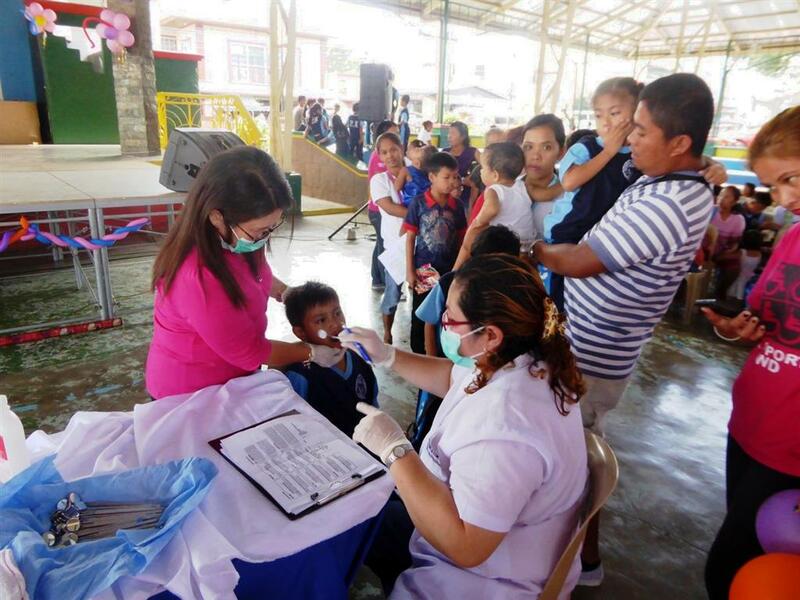 Municipal health office conducted free dental checkups. 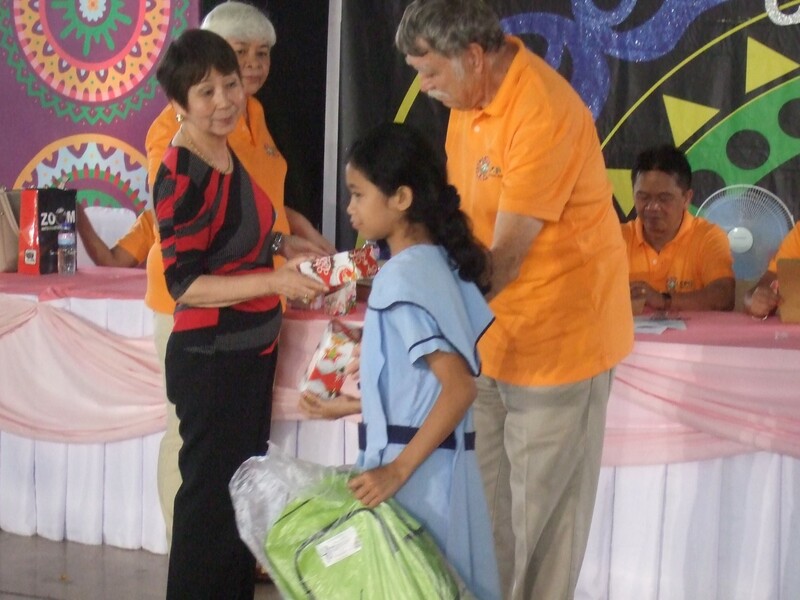 Kiwanis Alfonso chapter assisted the programs. AWH financially assisted to provide gifts to PWD and donated quality used clothes which were originally donated by AWH’s guests from Japan. 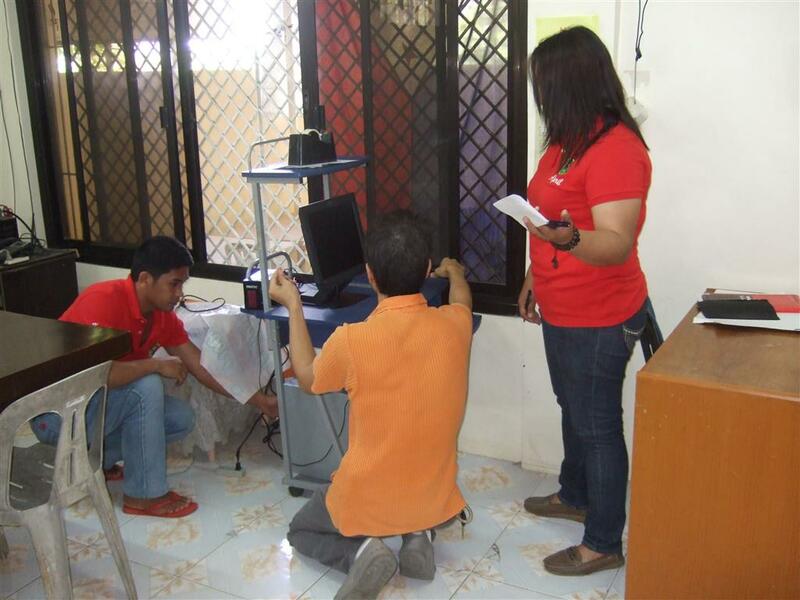 DSWD had requested assistance for Gulud Mangas the “squatter” village created by destitute persons from other regions. 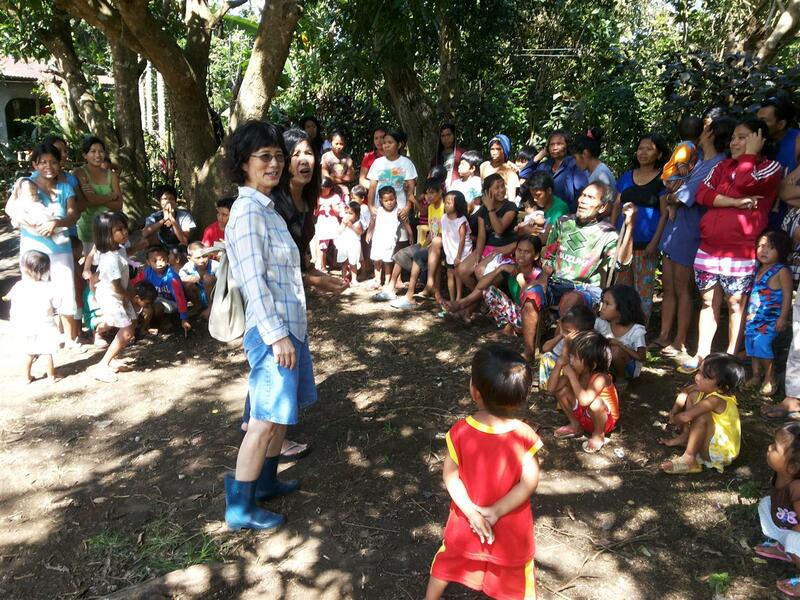 47 families were counted during our visit and each family pays Php250 monthly lease for a small housing pad within the agricultural property dotted with mango trees. 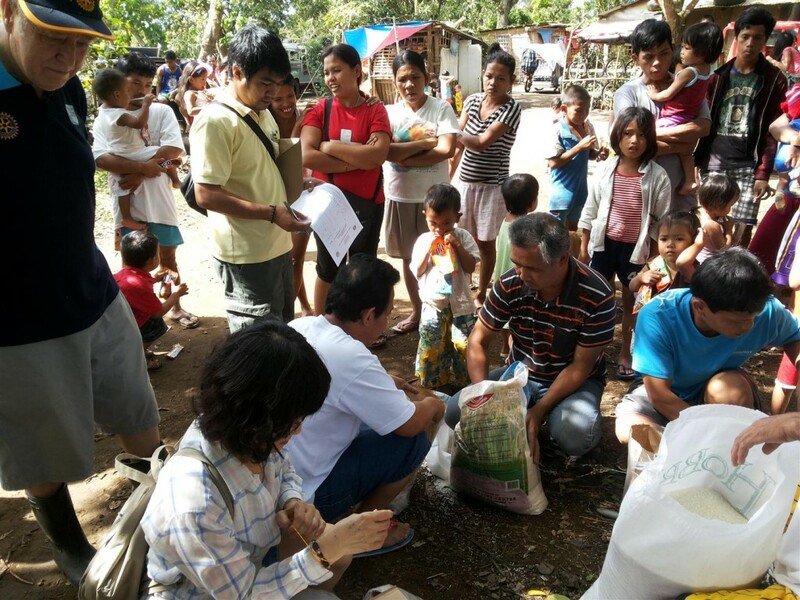 The club bought two 25kilo sacks of rice and AWH bought another three sacks to provide 2.5 kg rice to each of 47 families. 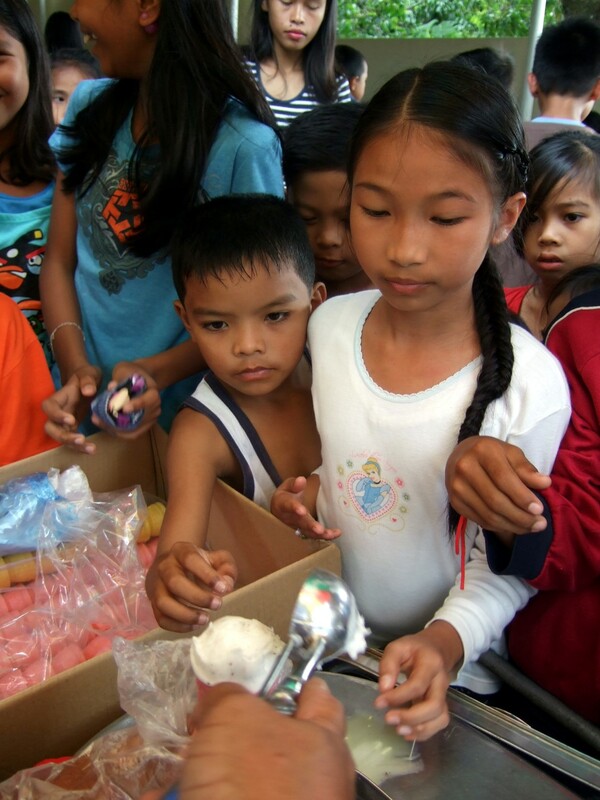 Biscuits and drinks for the children were provided by DSWD. 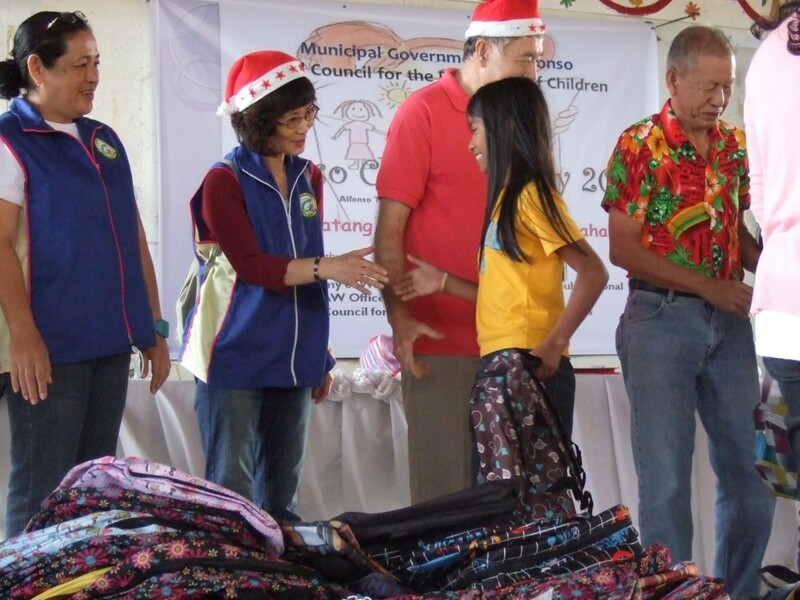 The gift giving was combined with family planning education. 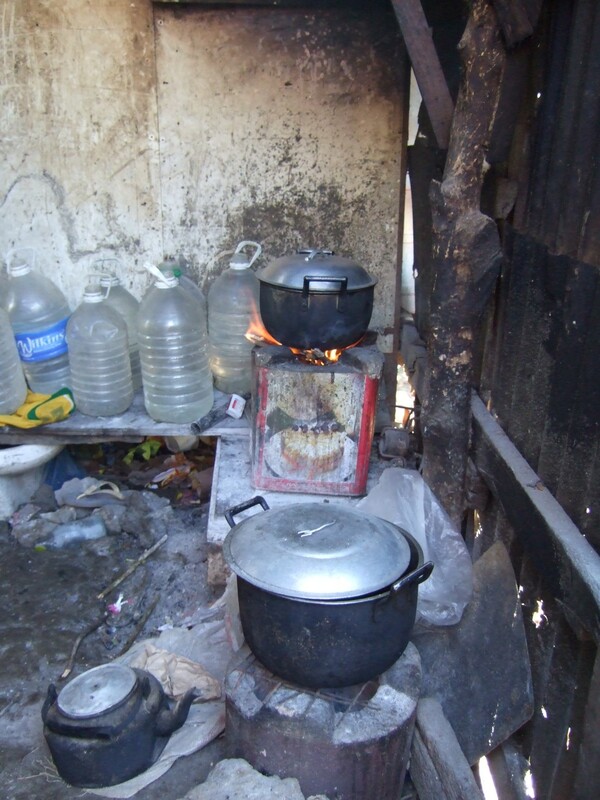 Since most households lacked firewood for cooking AWH staff had donated and had made arrangement with the brgy. captain to pick up truck loads of chopped and bundled firewood prepared for this purpose. 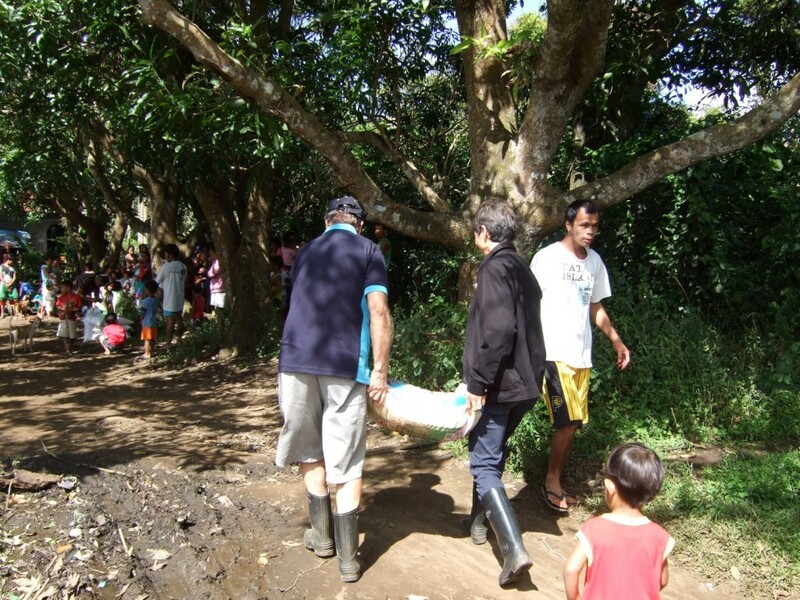 However, since the brgy truck had broken down Rotarians used the AWH van to deliver the bundled firewood the next two days as time was of the essence since the dirt road cannot be used by vehicles during rainy days. 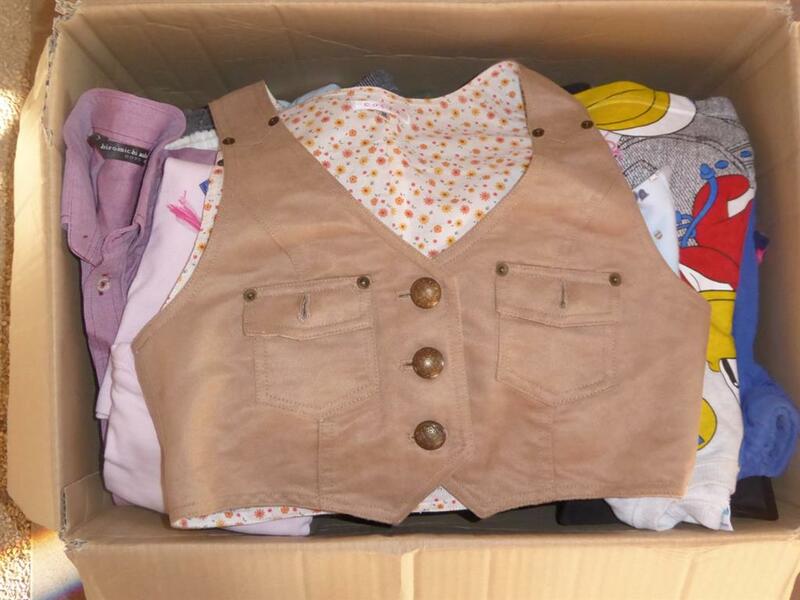 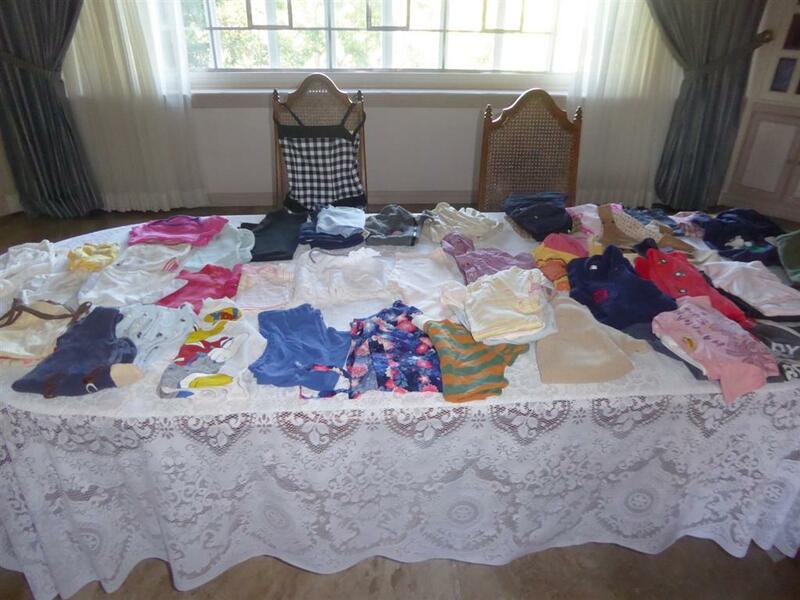 Clothing donated to the club from Japanese visitors as well as other incidentals were distributed also. 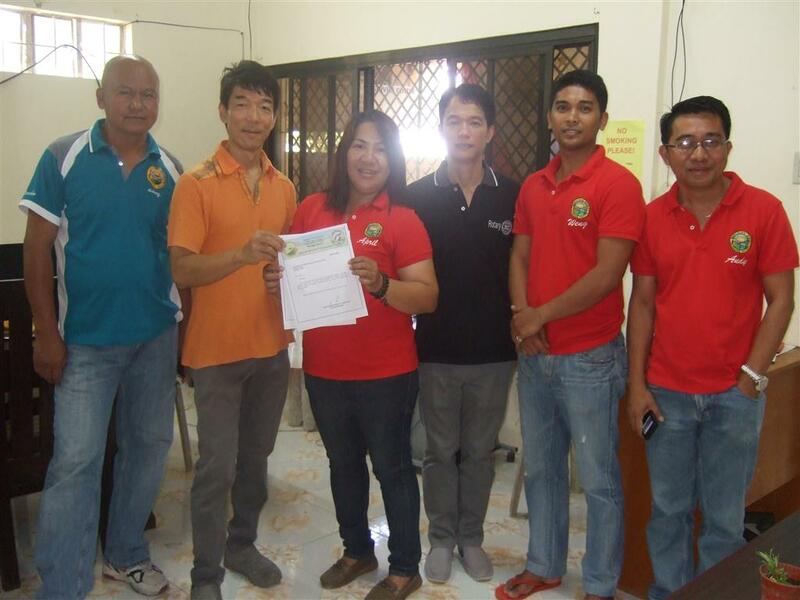 AWH staff proceeded with its van fully loaded with cut and bundled firewood to the 100th Sheep Resettlement Camp in Dasmarinas. 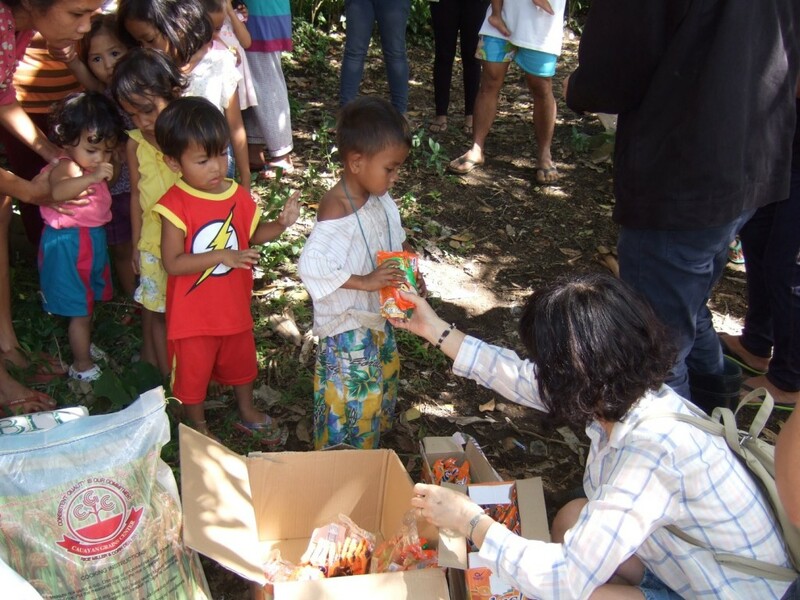 After unloading the firewood which is much sought after for cooking, AWH staff then went Christmas shopping for the children of the Resettlement Camp, purchasing the needed items to feed 130 children from three local grammar schools during their Dec. 17th Christmas party. 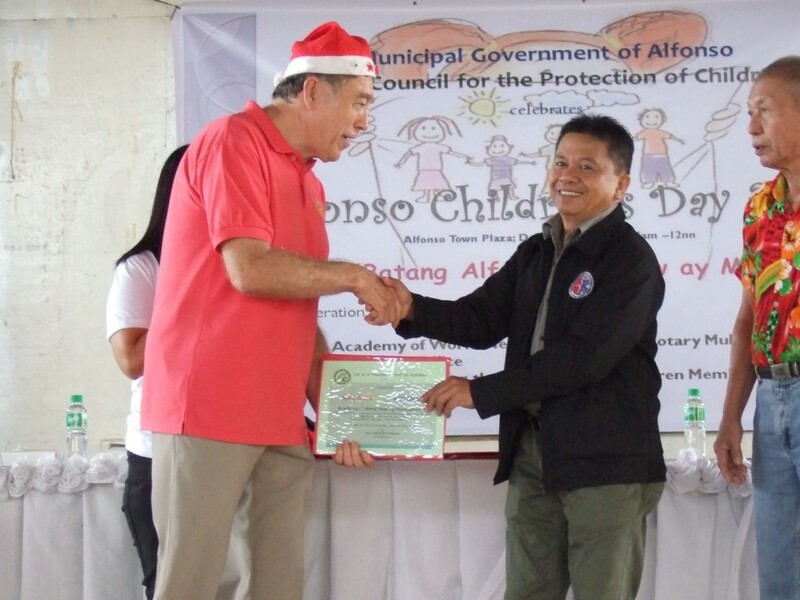 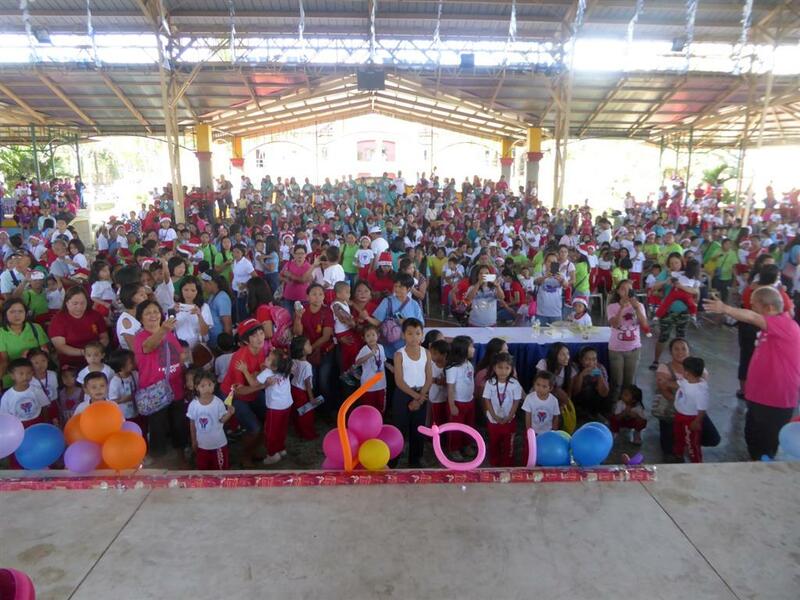 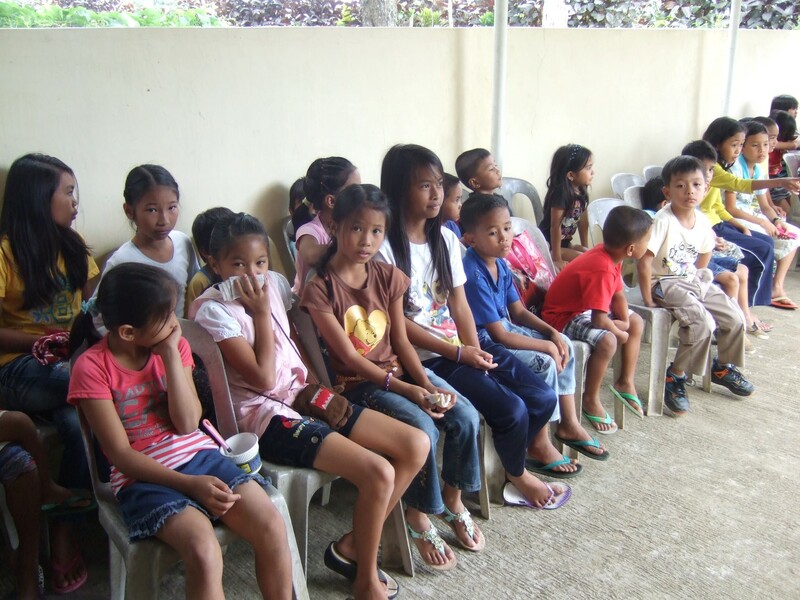 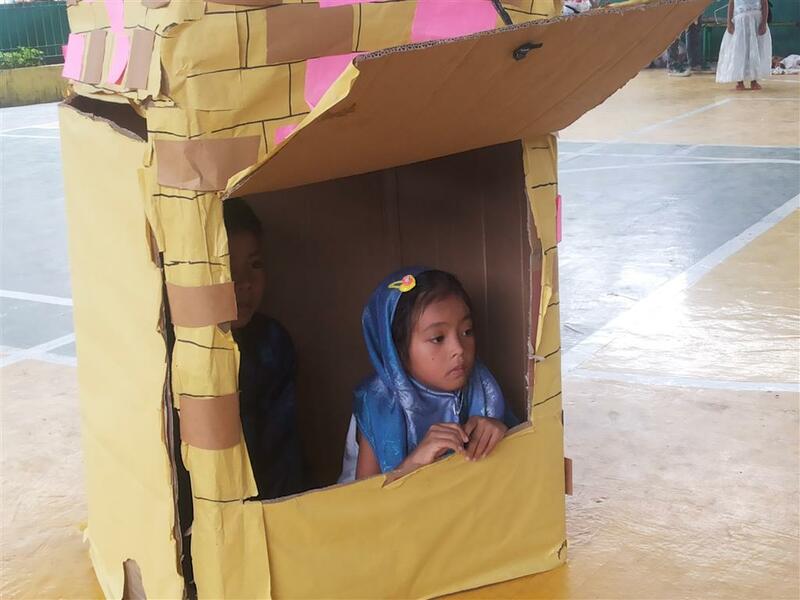 A little Christmas event was held for children on December 20, 2014 at the barangay hall in Sicat, Alfonso, Cavite, where AWH is located. 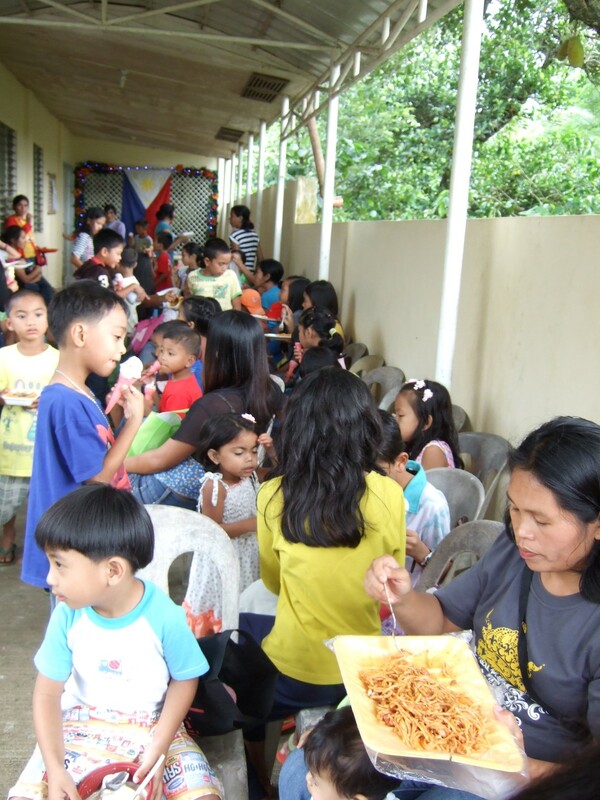 AWH provided pasta and ice cream for 100 children. 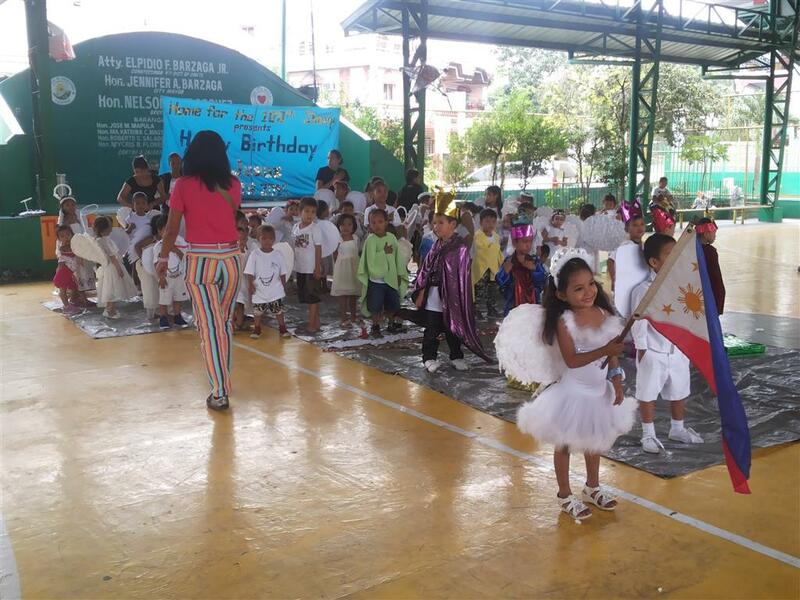 Barangay captain also joined and greeted the children. 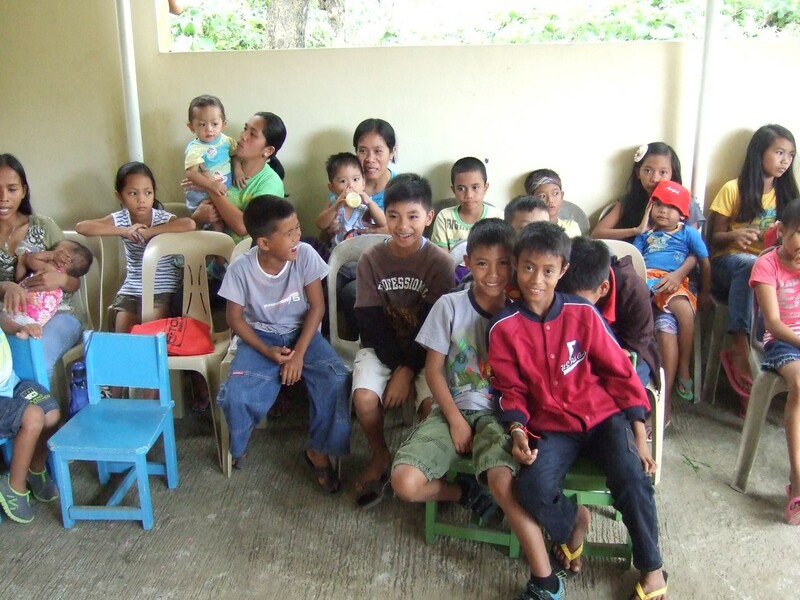 He told us that the participated children were one third of the entire children population in Sicat. 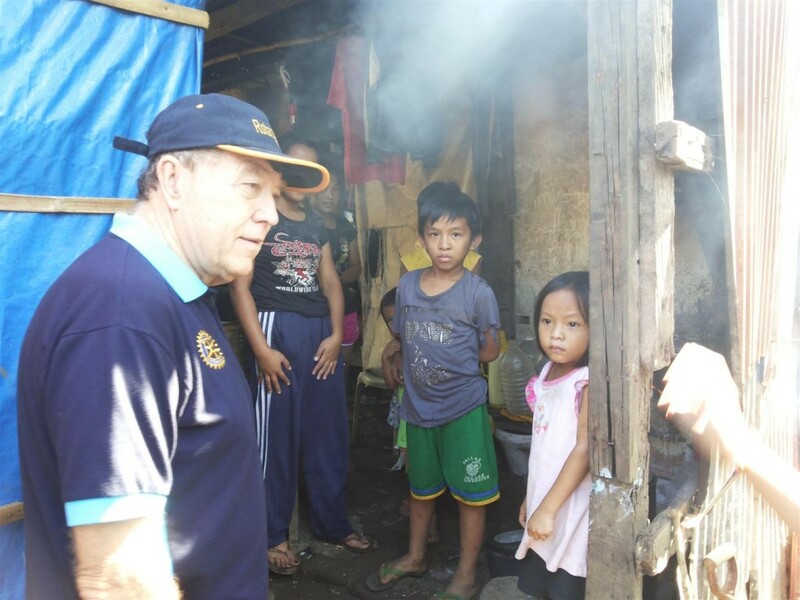 AWH talked with him about necessity of family planning, otherwise no bright future for these children growing in poverty, hunger and joblessness situation. 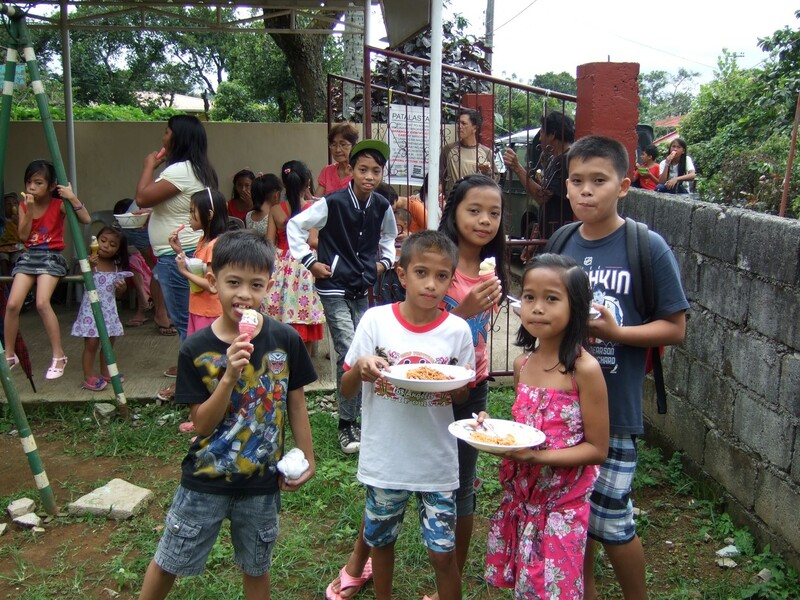 Nevertheless, all the children enjoyed the food. 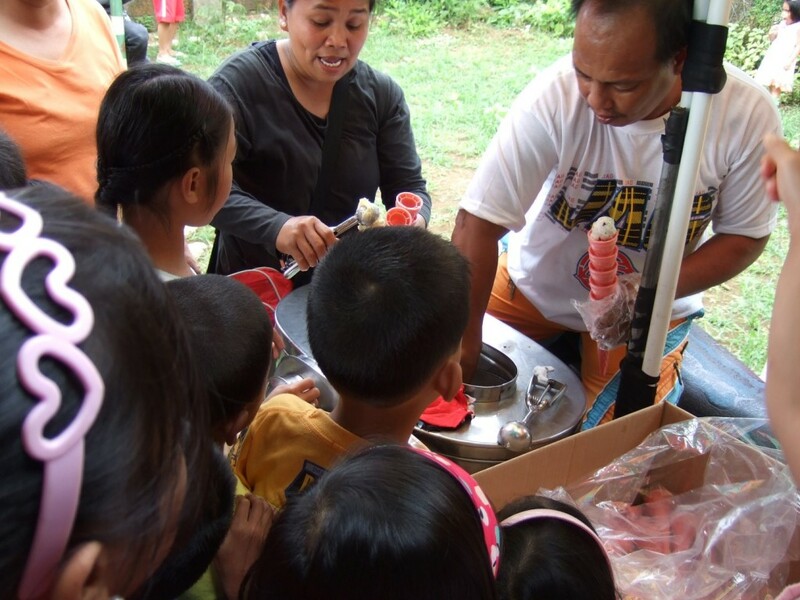 10 gallons of ice cream went empty in about an hour. 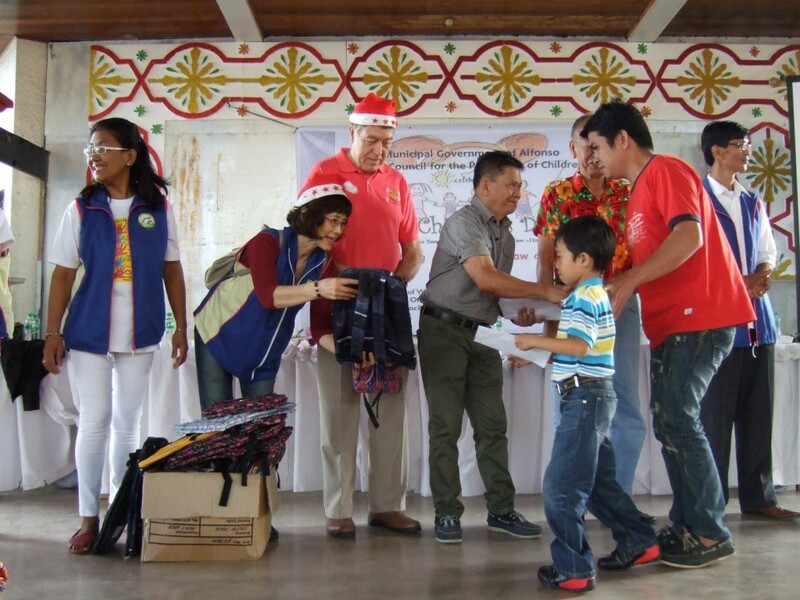 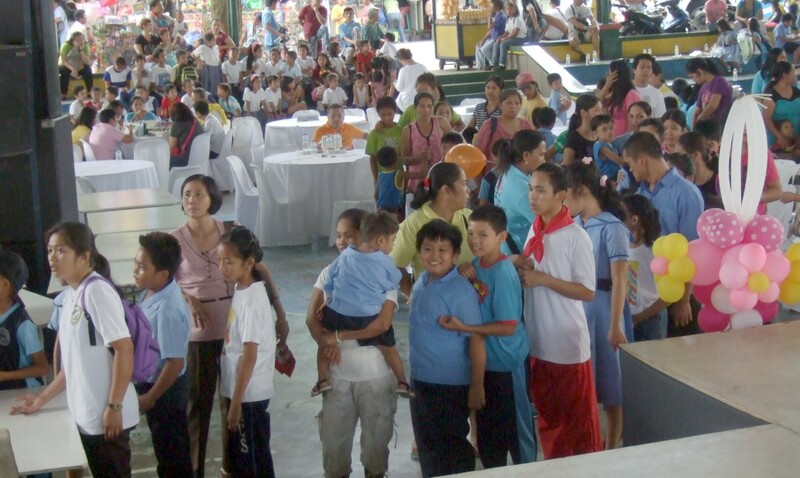 The five poorest families from each of the 32 barangays (villages) in the municipality were chosen to receive gifts. 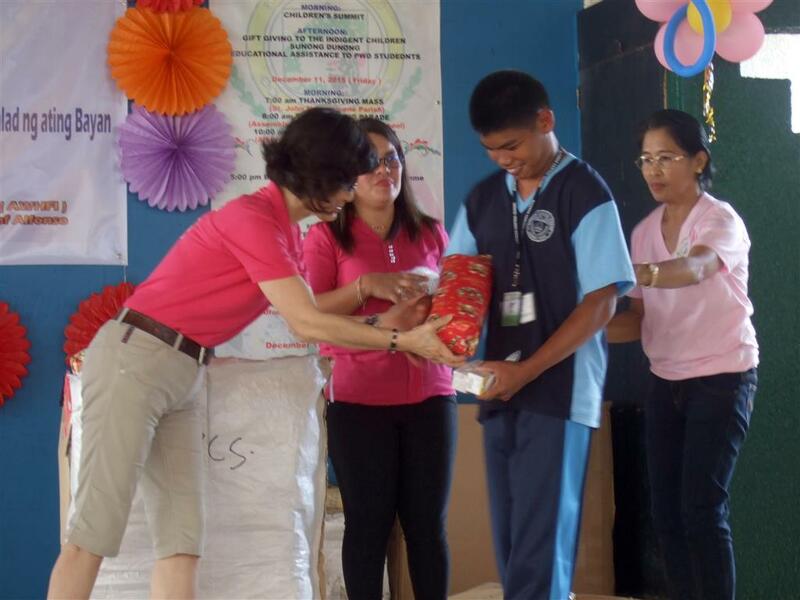 The gifts consisted of a backpack with school materials inside. 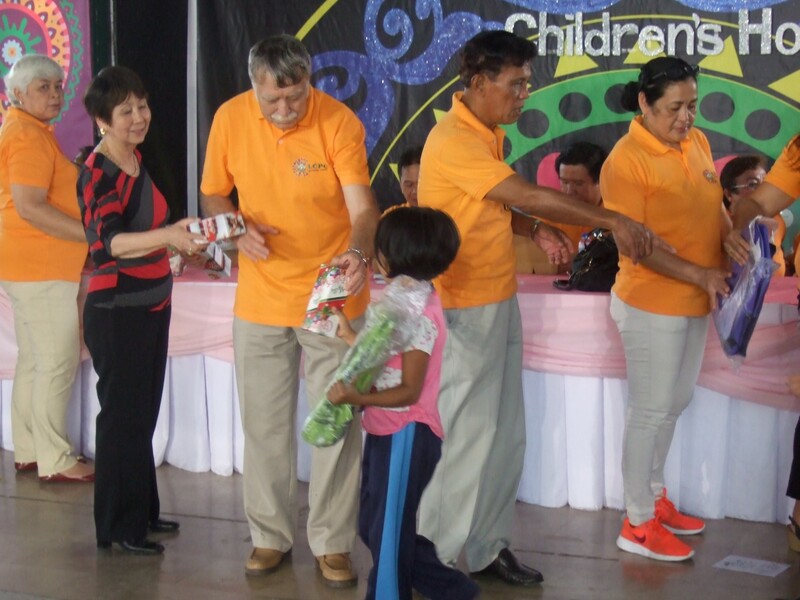 Mayor Varias and his Vice Mayor greeted everyone and the mayor gave out the gifts. 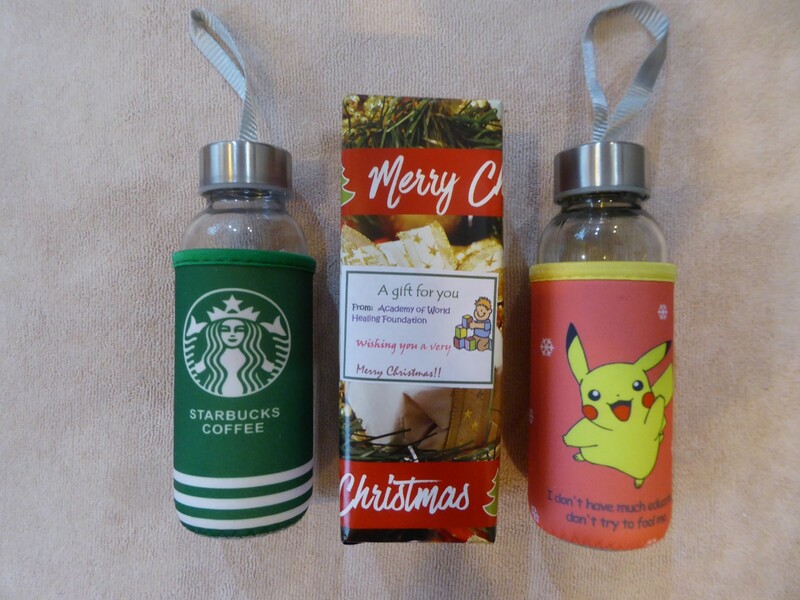 We assisted with the gift giving. 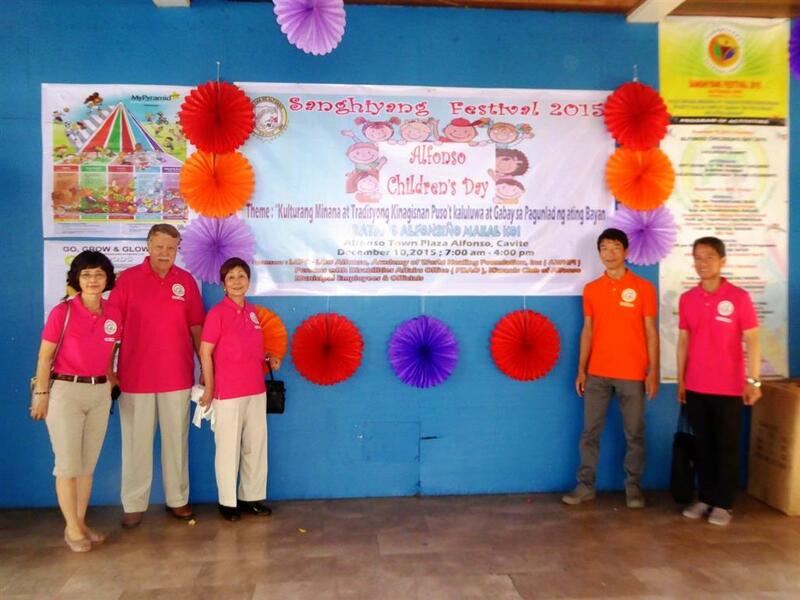 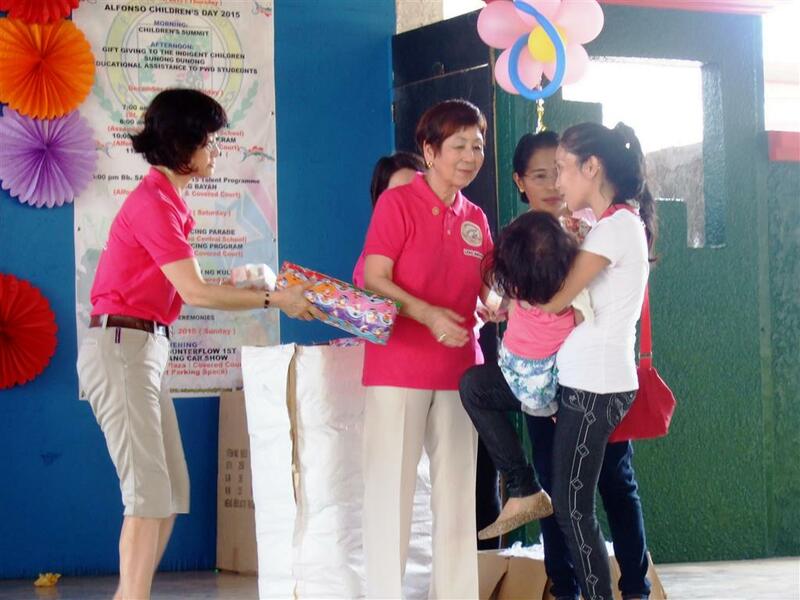 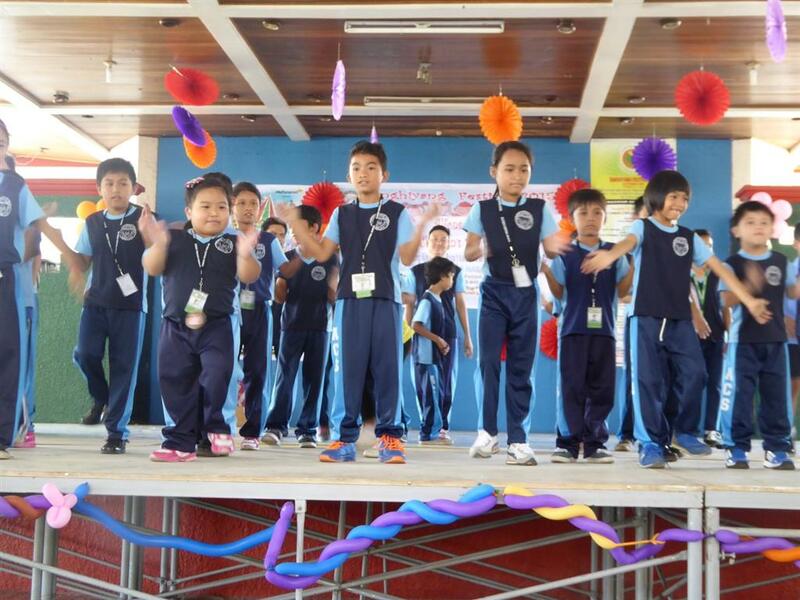 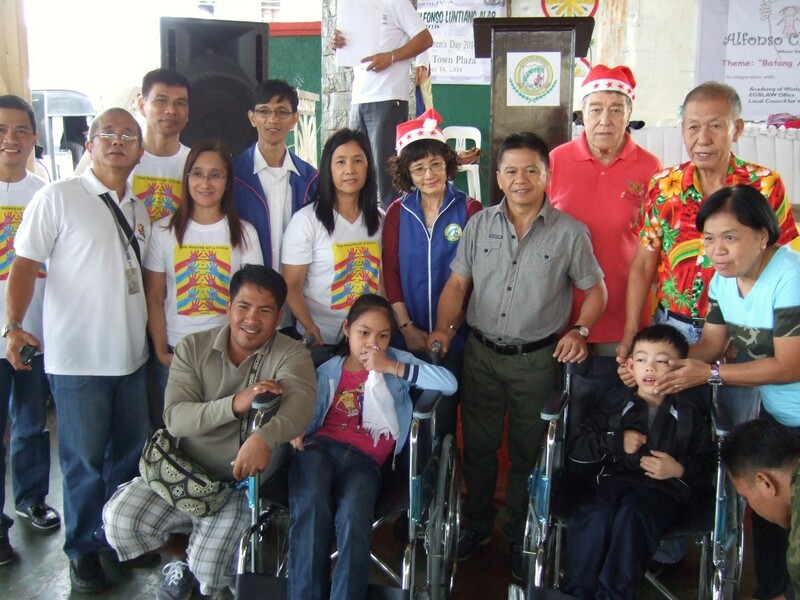 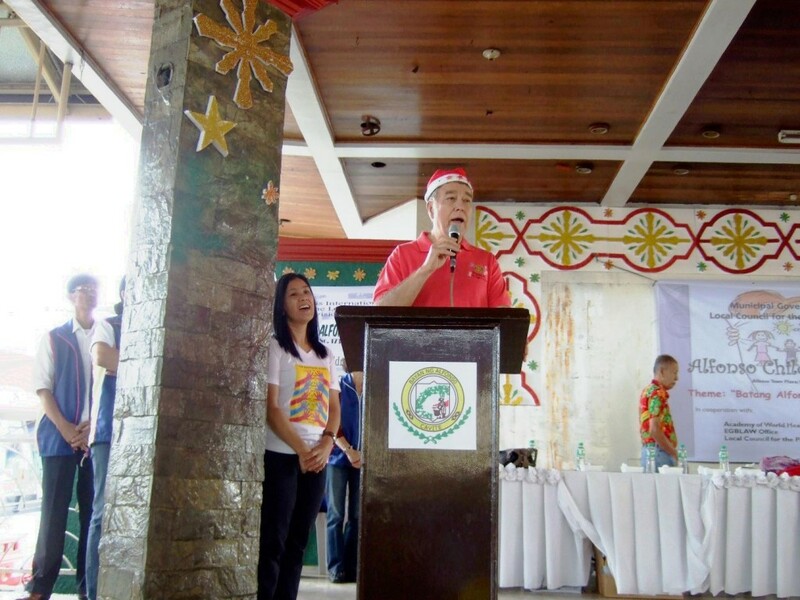 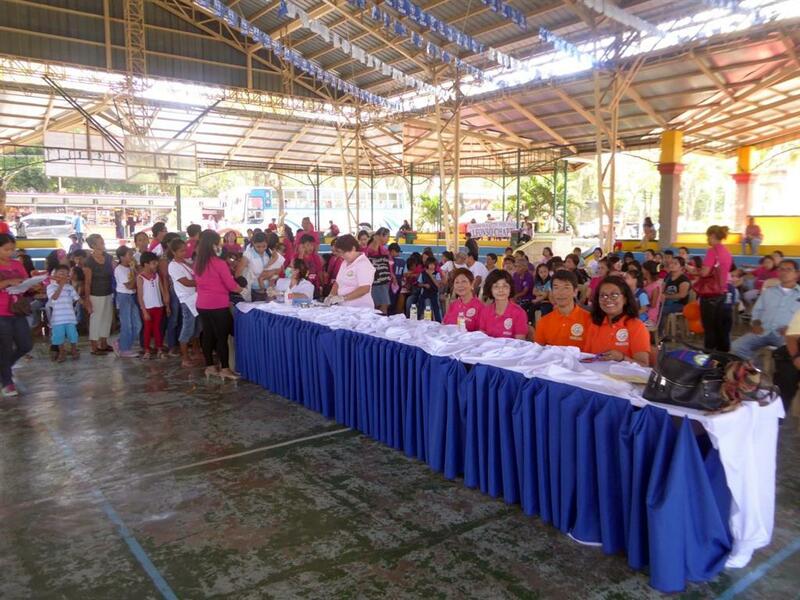 The second part of the event consisted of gift-giving to the handicapped children (PWD: Persons With Disabilities). 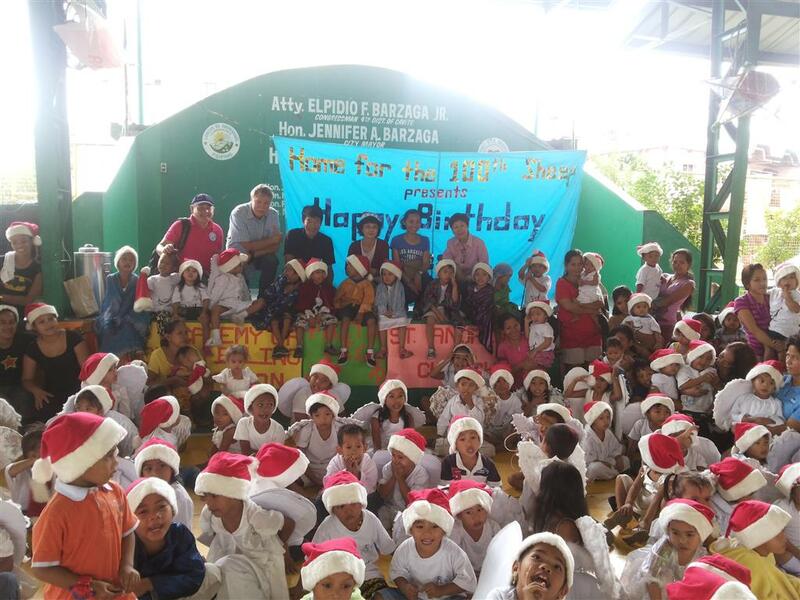 This consisted of the children, assisted by their parents, receiving the same backpack gift and their guardians receiving Php2,300 cash in an envelope handed out by the major. 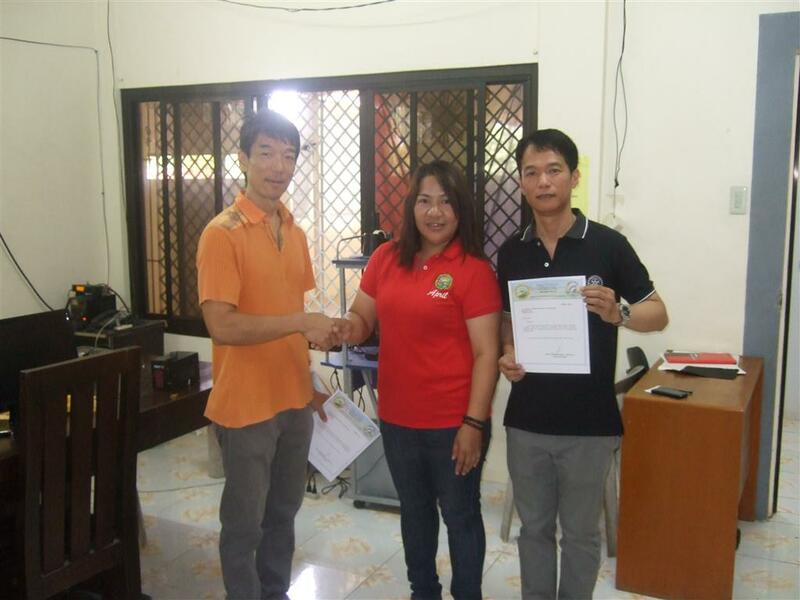 The cash represented the semester school support for the handicapped. 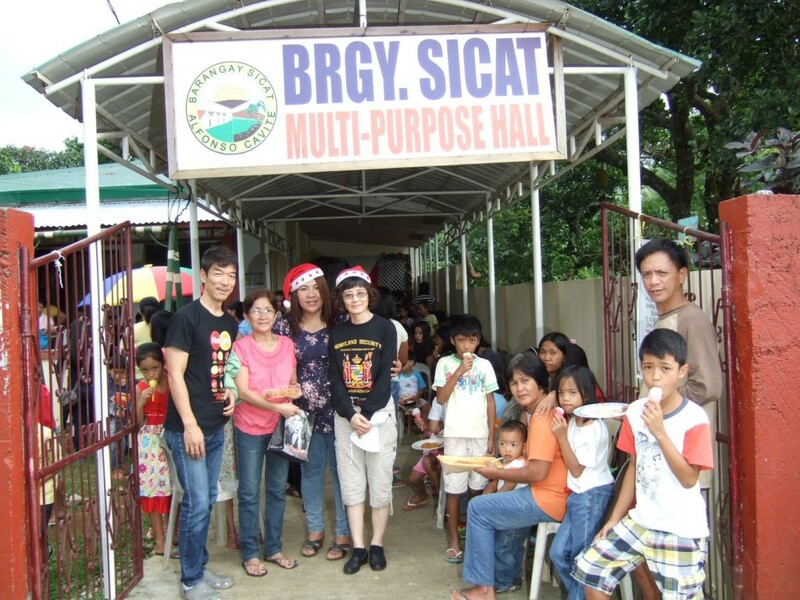 Raymund, Kimiyo and Klaus represented both AWH and Rotary and Klaus was requested to give a short talk on behalf of Rotary. 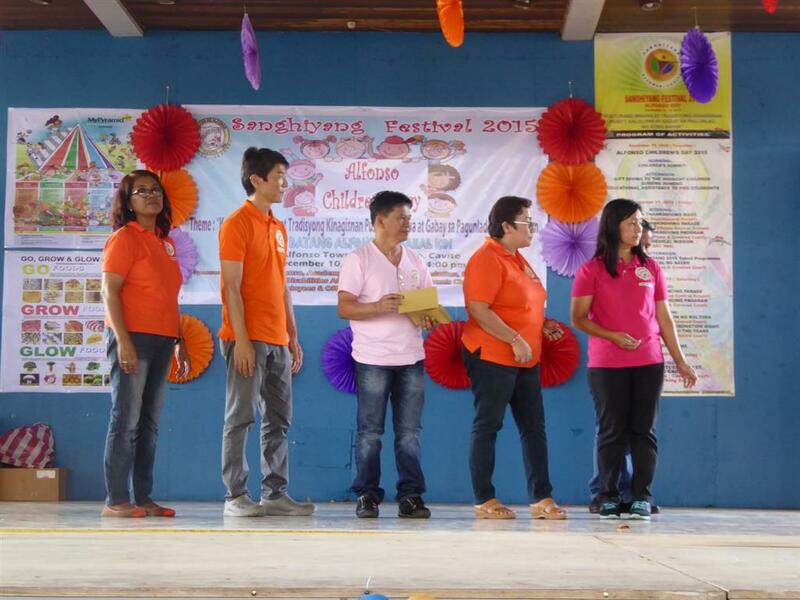 It was a heart-warming event.